Today is a great day for me, as I’m happy to announce AnsibleWorks (ansibleworks.com), an Open Source company I’m starting with some really great people, all around providing products, subscription support, services, and training all around Ansible. For those that don’t know me too well, I’ve been writing systems management software for over ten years -- I’m no stranger to DevOps, having created Cobbler and Func at Red Hat and seen them deploy major computer systems around the globe. I worked for Puppet Labs for a stretch, as well as built management tools for large companies like IBM. I’ve worked with hosted web applications with millions of registered users and all of the scaling challenges that demands. But configuration and deployment still felt rough to me. Multi-tier orchestration was poorly addressed. Wheels kept being reinvented that were square. People everywhere still wanted a better toolchain. So, one night in Februrary, on my couch, I started Ansible out of a desire to make IT orchestration easier. The way I wanted it to be. I had worked with numerous companies before that were clear IT leaders – and despite great technical skill of teams – I saw all the time that simple automation projects ended up taking months (and dozens of engineers), and complex processes remained full of manual steps. I didn’t want talented ops and developers to become just tool pilots as I knew that frustration first hand; I wanted them to have time to explore other critical business challenges, to experiment, to learn and do new things. I wanted something simple, stable, and easy to deploy that made everyone faster, but also got out of your way. Approaches to IT auto felt broken, as things that should be straightforward assumed the complexity of large software development projects. I had to fix this. While Ansible started as a humble nights & weekends project, it resonated quickly, and I soon learned that tons of people than I thought shared views about IT that I had. We all got together to build one extremely secure, straightforward tool that could do all of these things, and I’m very thankful to been able to see contributions from several hundred great individuals in a very short span. It has been incredibly fun to be a part of. Things grew quickly. Ansible reached well over a thousand followers on GitHub in just the first year, and were named one of the Top 10 open source projects to watch by Black Duck Software. This last month, Ansible received code contributions from over 60 unique contributors, which is higher than any other project in this space. 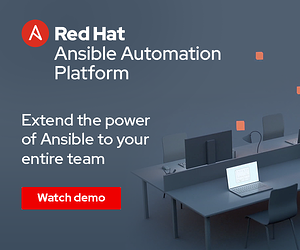 Countless people have presented about Ansible all over the world, from Melbourne to Montreal, to the Netherlands, Berlin, and Manila. I want to thank everyone deeply for making this an amazing ride. People like you are why I enjoy writing software. AnsibleWorks is going to continue the spirit of Ansible by funding some new development projects in the Ansible ecosystem. Like Ansible, our company will be super community driven, remain open source and fully transparent, and we will still keep our focus around helping developers and IT folks of all backgrounds get more mileage out of their computer systems. Nothing around Ansible is changing, we’re just turning it all up to 11. If you want to meet us, we’ve announced some few training dates, as well as a mini-conference in Boston on June 14th (we’ll have a call for presenters posted shortly too). If you are interested in any of these, you can sign up now on ansibleworks.com! We’ll be around the conference circuit as well. I hope to meet all of you, and once again, thank you for making building Ansible an amazing experience.